As usual, I’m running late. It’s cold–– there are still remnants of snow from earlier in the week–– and I’m wearing heeled boots. Fortunately, the grand windows of Hart House welcome me soon enough. As I hurry through the great hallways (which have probably seen more music in their existence than I will ever see in mine) I have my first brush with the ensemble I am to critique tonight. Tonight, The Hart House Singers are to present their take on the Second World War, through the perspective of children. The choir is newly assembled, and only half the singers have any choir experience. But orchestras, regardless of their size or experience, are as much a social performance as a musical one. The performers are standing in the hallway; they’re nervous, but appear polished and prepared to go up on stage. I watch as they clutch their songbooks and adjust their matching black outfits while doing last minute warm ups and cheers. I am struck by their energy and warmth: this choir–– with some members as old as me, and others more than twice my age–– are clearly a group who have bonded over the last two months through painstaking rehearsals, rather than individually tuned up performers. They’re obviously raring to perform. I walk in after the ensemble, and search for a seat in the long, echoey Great Hall. The audience is a varied assortment of churchgoers, excited parents, children who were dragged along, and friends. Somehow, the audience has seated themselves such that the rows get younger as they get further away from the stage. I find myself in the third row, an out-of-place teenager occasionally punching notes into a phone throughout the performance. Instantly, the choir appear well-rehearsed. The orchestra consists of about thirty singers, three violinists, a lone cellist and a pianist, all held together by a conductor; it is not the largest band one may see, but they certainly are spry and eager. 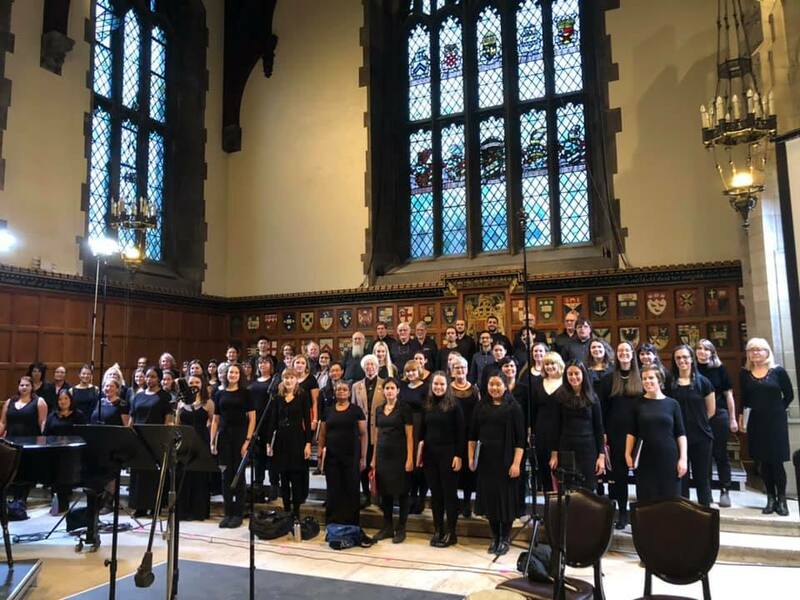 A smaller orchestra can sometimes leave more room to pick out mistakes, but if the Hart House Singers feel any kind of pressure from this knowledge, they don’t show it. The first two pieces form the Songs of Amazement, and whatever the band on stage may be singing about, their is certainly amazement within the audience. Towards the end of the first piece, the conductor takes the sound into his own hands. Like a master puppeteer, he suspends the it in the air. For a moment, the choir pauses, eyeing him in anticipation. The audience doesn’t take a breath. Then, he gives a smile and the tiniest nod, as if to assure his band that everything was alright; he relaxes, and the choir mirrors him. Sound returns to the gothing hall we sit in, and the audience gradually relaxes, too, as the band slows its pace. Interestingly, this happens throughout the performance–– the setlist for the night seems almost to have been fine-tuned for this specific audience and its needs. Luckily, tonight’s audience is active in its responses and are clearly feeling the music. The choir captured their attention early on in the night. Most of the pieces are lively, as is the conductor, who is brimming with enthusiasm. He guides his choir ahead with relaxed, fluid movements, and his spirit is contagious: the eagerness on every singing face is palpable, and they are matched by an excited audience. At the end of the first piece, the back of the room hoots and cheers–– presumably friends of nervous performers Perhaps it is a gesture which is almost obligatory, but it visibly heartens the entire choir. There’s an interesting competition between the piano and the vocals throughout. The voices blend together beautifully and skilfully, and tend to dominate most of the sonic sphere of the room; contrastingly, the piano–– at times carefree and jovial, while slow and contemplative at others–– tends to serve as the backdrop against which the singers thrust out their learned emotions. 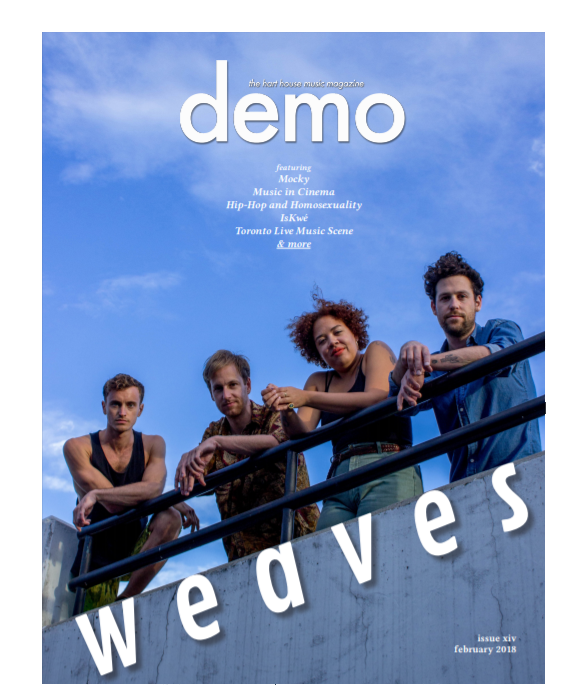 Occasionally, bars of crescendoing piano arpeggios and riffs burst forth from the and the singers are momentarily pulled out of the limelight, reduced to merely the air that the piano breathes in. The vocalists then seem to remember why the show has been titled the Hart House Singers, and the piano seems willing to accommodate as the choir takes back what is rightfully its. The experiences is as much as visual one as an aural one. The Great Hall feels Victorian: a high-ceilinged, long hall with large stained glass windows and painted figures staring down on every performer on stage. As spotlights focus on the singers and their song books, the conductor follows up one graceful turn of an arm with another; the violinists and pianist execute one carefully plotted note after the other, concentration writ large on their faces. It feels like entering a sphere of timelessness. Everything slows down, and I find find myself lost in the long drawn out, elaborate movements. It is a revelation of sorts. Most of the performers take a solo at some point during the performance. The violists begin, their high, sweet yet piercing sounds filling the air. Not to be left behind for too long, the singers eagerly join the wailing violins after a moment. The song seems to rise in hope and then fall into the flatter notes, almost as if remembering that melancholy is an integral part of its identity and mustn’t be left behind. The pianist plays thoughtfully throughout his slow, tentative solo. As he sustains his last note, applause seemed to come just a beat earlier than normal. Soon enough, it is a vocalist’s turn to take a solo, and she does so with the impact of a machine gun. Pairing a strong falsetto and a raging vibrato with allegro piano arpeggios, she seems to be on a different planet. While the song isn’t in English, she seems to me to almost be reciting an old story–– the piece goes from happy to hopeful, with many climatic moments. As she takes a bow the room, the audience bursts out into thunderous applause. From here on, more rapid movement seems to follow, both physically and musically. There’s a lot more hustling around as more singers take turns to walk up and take their solos. To me, there seem to be a lot more key changes in the songs now, and I wonder if that’s only merely a coincidence. Another singer steps forward–– a small, nervous young woman. She finds her parents in the first row, and winks at them. This evening seems a cross between up and coming talent and a high school’s annual concert. There are elements of sophistication, nerves and sheer genius, surprising smoothness and hints of lines on people’s faces, and all the bustle of a school production. But any doubts I had due to her initial appearance gone when the young woman began–– she was incredible. Later, the bass singers take a short solo. Though they are soon joined by the tenor section, it is interesting to hear just the singers with all the embellishments removed–– the piano, cellos and the violins temporarily silenced. I can’t know what the rest of the audience feels, but to me, their silence is felt strongly. As if sensing my concerns about a lack of instrumentation, the vocalists are soon joined by bongos, an interesting choice of instrument that seems strange inside a neo-gothic church hall. A triangle and the vocalists follow, and add deepness to the music. The vocal soloist carries the confidence and swagger of a purposeful modern pop singer, and it’s surprisingly refreshing. Roughly fifty minutes in the band falters for the first time. They restart, only to have the soloist, an older bass singer, fluster and mess up the timing. A second restart is cued. However, the way the band, conductor, singer and instrumentalists seem to laugh it off makes the band more charming. And it is in parts like attending the annual school play. Nerves, secret smiles and messages to people who have probably heard rougher versions of the songs being performed right now; who know what went behind it all, and who can only sit there, proud with a camera, or just with a sense of achievement. It’s a fact I see reflected in the post-concert celebrations too: there are bows and bouquets and applause; tears, hugs, and exclamations of pride. After all those hours of polishing up the sharps and making music sophisticated, the story remains the same behind the scenes: the power of music is raw and universal, and it touches lives young and old alike–– quite like the theme of the night’s performance.